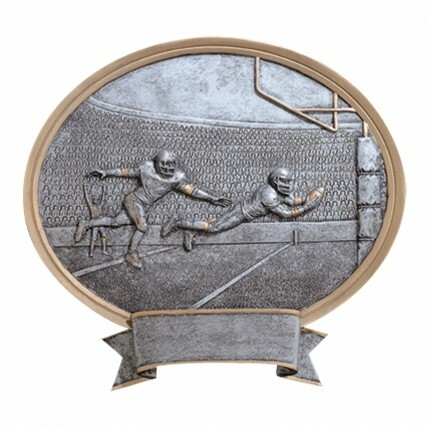 Commemorate an exciting season with this unique oval plaque. This exquisite award can stand on a flat surface, or hang on the wall for a striking display. Resembling cast pewter with gold highlights, this three-dimensional award depicts a football player diving into the end zone. Give the Oval Football Team Award to your star receiver or a remarkable coach!